Grand Cru Petite Swiss Wheel Cheese, 12 Pound -- each. 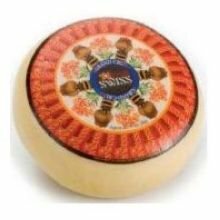 Mild and nutty, this versatile Swiss style cheese has a buttery texture and a classic sweet finish. Excellent for slicing and melting.